For decades, top scientists in colleges and universities pursued a clear path to success: enroll in a prestigious graduate program, conduct research, publish papers, complete the PhD, pursue postdoctoral work. With perseverance and a bit of luck, a tenure-track professorship awaited at the end. In today’s academic job market, this scenario represents the exception. As the number of newly conferred science PhDs keeps rising, the number of tenured professorships remains stubbornly stagnant. Only 14 percent of those with PhDs in science occupy tenure-track positions five years after completing their degree. 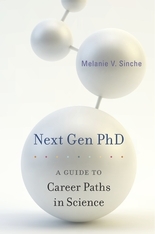 Next Gen PhD provides a frank and up-to-date assessment of the current career landscape facing science PhDs. Nonfaculty careers once considered Plan B are now preferred by the majority of degree holders, says Melanie Sinche. An upper-level science degree is a prized asset in the eyes of many employers, and a majority of science PhDs build rewarding careers both inside and outside the university. A certified career counselor with extensive experience working with graduate students and postdocs, Sinche offers step-by-step guidance through the career development process: identifying personal strengths and interests, building work experience and effective networks, assembling job applications, and learning tactics for interviewing and negotiating—all the essentials for making a successful career transition. Sinche profiles science PhDs across a wide range of disciplines who share proven strategies for landing the right occupation. 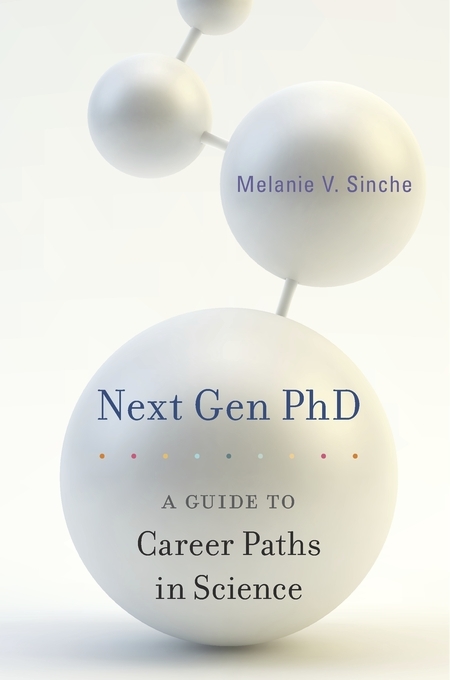 Current graduate students, postdoctoral scholars, mentors, and students considering doctoral and postdoctoral training in the sciences will find Next Gen PhD an empowering resource.